Aspire 2 Achieve is a Northumberland based organisation whose prime purpose is to raise the awareness, confidence and productivity of people in the North East area via the medium of various fun and challenging activities. The aim of our organisation is to build self confidence, concentration and self-esteem in young people through the medium of our activities. All Aspire 2 Achieve activities are delivered in a positive, fun, relaxed environment and aim to instil self-confidence, enthusiasm and determination in all participants, regardless of their ability. Since our organisation is made up of local sports personalities and local community activists, the young people taking part see how others have used these activities to enhance their life opportunities. Each activity is tailored specifically to meet the needs and abilities of the participants. The overriding theme of each session is to provide a healthy, positive activity that encourages each individual to learn whilst having fun. The aim of the organisation is to build self confidence, concentration and esteem in young people through the medium of our activities. Our activities design team, lead by Doctor Alan Hoyle fully believe that by inspiring people to achieve their own goals, live the life they want, when they want to and within their chosen community, we can make a real difference to those we work with. Along with various activities, Aspire 2 Achieve have raised money for a number of good causes, donated food, drink and clothing where needed, and put on special events for deprived people to help develop necessary life skills. 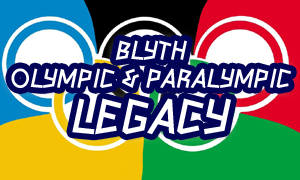 Aspire 2 Achieve have helped run various community events, including the Blyth Town Council's Olympic and Paralympic Legacy events. Aspire 2 Achieve also provide support for both the young and elderly, providing specialist and integrated services which focus on improving lives and communities across mental health, learning disability, substance misuse, primary care, the criminal justice system and employment. Gaining employment can be an important step in helping you get the most out of your life, particularly if you have got drug, alcohol or mental health issues or a learning disability. Work can also fulfil deep psychological needs - affirming your identity and social status - which, in turn, can lead to better mental and physical health. It is important that people receive the support required to get a job - particularly if they have complex needs or a history of offending. We have developed a specialist employment service that deliver real results. We tailor our services to help everybody we work with find meaningful employment – in turn encouraging them to become more independent - and helping them look forward to a brighter future. For 2015, Aspire 2 Achieve have joined up with Jump and Bounce Northumberland to provide the very best sporting birthday parties, including multiple sports of your choice, bouncy castle, full disco and much more! Whatever your requirements, Aspire 2 Achieve are here to provide the service you require.